I met with Changzhu Li at Huawei headquarters in Shenzhen. He is vice president of Huawei's mobile business. I asked him a few of your questions. He admits flaws in the company’s operating system and promises a slimmed down version in the third quarter. There is no question that Huawei produces competitive smartphones. But one of the major criticisms of European and American customers has always been the software – too crowded with pre-installed bloatware, troubled by an ineffective power-saving mode, and otherwise weighed down by an overloaded appearance. I had the chance to communicate these concerns to Changzhu Li, the vice president of Huawei’s smartphone arm, in an interview, and he acknowledged that work needs to be done. What is in store for EMUI 5? Li promises a new version of EMUI in the third quarter of 2016. The plan is to make big cutbacks, resulting in a "basic package", says the smartphone boss. The focus this time around will be on user-friendliness. Perhaps it is finally time to add an app drawer. Huawei’s smartphone portfolio has been reduced over the past five years from over 70 devices to around 20; a narrowing of perspective is the goal, to focus on only eight lines, running in parallel. Here, the P9, P9 Plus and P9 lite count as one line, and Honor devices are also included in the figure. Ada Xu, the global head of PR at Huawei, had assured me of this the day before my interview with Li. This step will reduce the maintenance costs for the software on the company’s range of devices. Li explains that Huawei has set the goal of providing Android updates with no more than a two-month delay. He acknowledged that getting updates out to mid-range devices has been a challenge, one that didn’t seem to disturb Chinese customers too much. Criticism of the sluggish update process instead came primarily from Europe, which has been the impetus for this change in approach from Huawei. As many of you like Huawei hardware, but less so the software, I raised the question of making it open source. 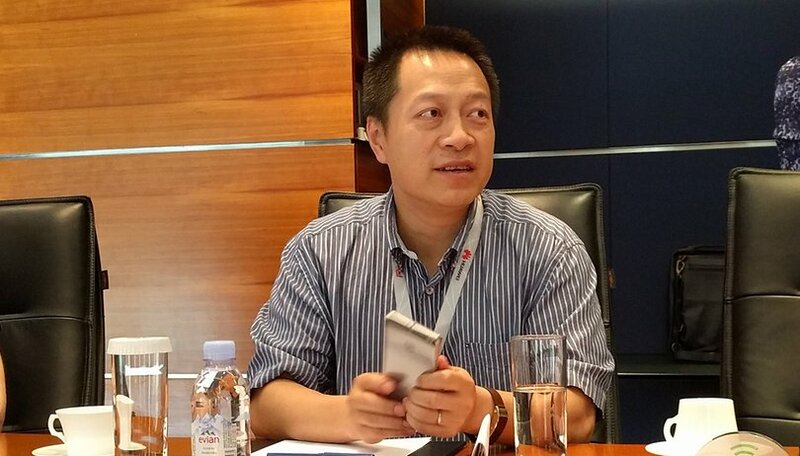 But Li stated that Huawei would continue to make "one EMUI for all markets" and keep a hold of it. The online documentation for the EMUI hardware interfaces is only available for Chinese developers, who are still not meant to modify the firmware itself. Under the hood, Huawei is preparing its system for hardware-optimized apps. Through certain programming interfaces, it will be possible to optimize apps for the processor or the camera, so they run faster on Huawei devices or make full use of the available components. Such optimized apps will only really be seen in Huawei's own app store. They will theoretically also be available through the Play Store, but will be much more difficult to find. And then Li came to an important point of criticism concerning Android: the Play Store and many other Android app sources are subject to weak quality control. It often happens that users download poorly designed apps or apps that request too many permissions. This leaves users dissatisfied with the overall experience, but it also means they are regularly risking their privacy due to data-hungry apps. The alternative concept of Huawei's app store already exists in China. Huawei’s own team of curators examine the incoming apps according to a similar set of criteria to those used in the Apple App Store. In my iPhone SE review, I showed you examples of how consistently high-quality apps make the iPhone better on a user-experience level. Li had caught our attention with the Huawei app store, so the question arose: is it coming to Europe? "I hope so," replied Li, without going into any specifics. Huawei is actually capitalizing on the shortcomings of the Android operating system. Many users find that their smartphones slow considerably after a few months, or there is no more free memory available; "Our smartphones remain fast," said Li. The reason for this is to be found in software optimizations, which EMUI buries deep within the Android system. "Do you have enough room for maneuver if you work with Google and many other manufacturers on Android?" I asked Li. "Yes, definitely," he assured me. "But can you attain a perfect operating system without optimization?" I asked. Li considered this for a moment and then said, "Google is taking many steps to improve the system." But he is always looking for ways to act and sees a need for optimization that would allow Huawei to stand out from the competition. And I can’t fault him for this tactic. Huawei will remain tied to Android for a long time. The benefits of the huge ecosystem are too great, whether talking about the continual development of the operating system or the large number of apps available. "Do not expect any products," Li said succinctly when I spoke to him about Daydream. Google's new VR platform based on Android "is certainly good for the ecosystem," said the smartphone boss. Even if Huawei employs the technology, it does not mean that we should necessarily expect VR hardware from them. What do you think of Huawei's plans for EMUI and faster Android updates? Let us know in the comments. EMUI does slow down after a while, especially after an update. I really want to try out stock Android OS at least once. I have a mate 7 and agree updates are slow. I 'm now on Android 6.0 and EMUI 4.0. Easily the best device I've owned. Also I might be in the minority but don't dislike EMUI. Customisation is great being able to exchange components of the numerous themes. Any apps I don't need and can't uninstall go into a single folder.I just wish security updates were available. Well never used much Huawei devices but after reading this article lokks like i should give it an try to his devices.